This episode is all about food, family and faith! 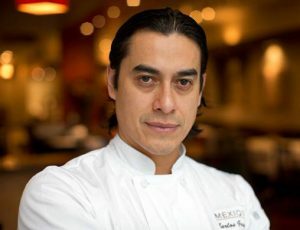 Carlos Gaytan, creator of Chicago’s fabulous restaurant Mexique is the first Mexican chef to earn a Michelin star. You may also recognize him from Bravo TV’s “Top Chef,” where he placed fourth out of 19 contestants. Arriving from Mexico at age 21, Carlos achieved what many would consider his “American Dream” 17 years later with the opening of his own restaurant, Mexique, in 2008. However, severe financial difficulties soon forced him to surrender his ambitions and grapple with shutting down his French-influenced Mexican restaurant. The night before he was due to close up shop, he and his wife fell to their knees and prayed to God, asking for help and a sign about what to do. The very next morning, he got an unexpected call from Michelin that would forever change his life. His road to stardom was wrought with challenges, but that didn’t stop him from his dream — to move to the U.S. for a better life and to help others. I was surprised by how candid Carlos was as he opened up about his humble roots in Mexico, his journey to America as an illegal immigrant (he became a U.S. citizen in 1998), his faith and why giving back to the community is important to him. Carlos said he, too, believes we all have superhero powers we should use to live better and be better for ourselves and others. You’ll agree with his mantra: he is a hero who doesn’t use a cape — he wears an apron. I hope our discussion inspires you to hunger for your inner strength and hold on to your dreams when challenges seem insurmountable. 1. Surrendering vs. Giving up. Surrender is doing your best and letting go of any attachments to the outcome. Giving up is being paralyzed by fear about what may unfold. You can’t worry about what you can’t control. 2. Surround yourself with truth-tellers, people who love you enough to be real with you. 3. Go with the flow: Our dreams are malleable. Be open to people and situations and, yes, even challenges that will help you grow. When difficulties arise, think to yourself, “What is this trying to teach me?” Press on and pivot as the story unfolds. Witnessing and celebrating miracles are the most fun part of the journey. Believe in God and miracles. What does he DARE you to do? -If you like what you hear, please share it with other Truth Tribers who need to hear this message. 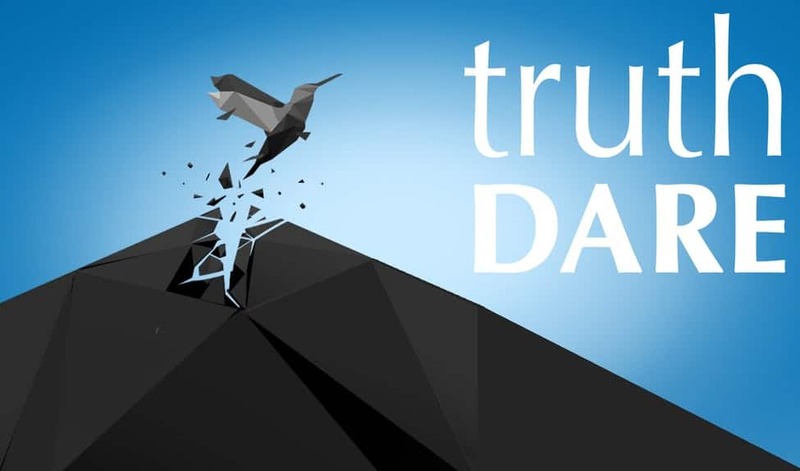 -Listen and Subscribe to TruthDare on iTunes, Google Play, Stitcher, Android, YouTube and Libsyn. Trust your Truth, I dare you. Amo a éste hombre!!!! Se sacaron un 10!!! Congrats!! !